Alaska is the largest state in the United States of America by area at 586,412 sq. miles, over twice the size of Texas which is the second largest state. It is even larger than all but 18 sovereign countries. If you are thinking of moving to Alaska, then this post might be of help to you. We will try to give you a list of the best places to live in Alaska. The best and top places include the following. Anchorage: If you are used to urban living, then this part of Alaska might be the best place for you. This is the largest and most populated city in Alaska with approximately 280, 000 residents. 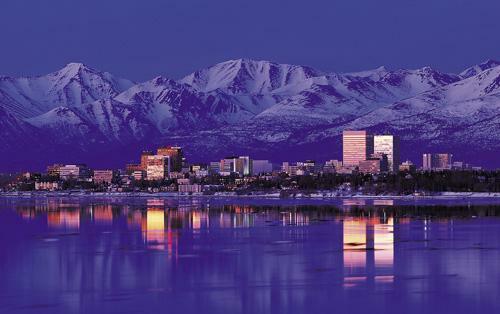 Anchorage is also known as the City of Flowers (summer) and the City of Lights (winter). You’ll experience here the cultural amenities and activities that you expect from an urban center. The more exciting part of this city is that it is surrounded by a splendid wilderness of valleys, mountains, glaciers and fjords, and active and inactive volcanoes. The weather in this city is friendly in the summer. It is much warmer than what you may think. This will give you a good chance to try mountain hiking, biking, and salmon fishing. Transportation is not a problem here but housing can get pricey. If you are concerned with the air quality, then I say that it is one of the best. It has the most job openings and a reasonable cost of living. Kenai: Kenai is a small town with approximately 7, 000 residents. The population is not that big. History wise, the town boasts many Russian remnants. You can see these remnants at the Kenai Visitors and Cultural Center. It is the heart of Alaskan adventure. The cost of living in Kenai is very low. It also has sales tax of 3%. There are plenty of jobs in oil, natural gas, tourism, and fishing industries. Fairbanks: It is a small city located at the north of Anchorage. It is home to the University of Alaska Fairbanks which is the oldest college in Alaska. The apartments are available at affordable prices. Many say that this place is great in raising a family. It’s the perfect place where you can make your own opportunities. The cost of living is lower compared to other cities. These are the facts about the best places to live in the state of Alaska. Before you finally move, you have to really think hard. No matter where you go don’t forget to live your life to the fullest. Enjoy little things with your family because the greatest things in life can be experienced from your loved ones.